WASHINGTON—Following the alleged murder of 16 Afghan civilians by Army Staff Sgt. 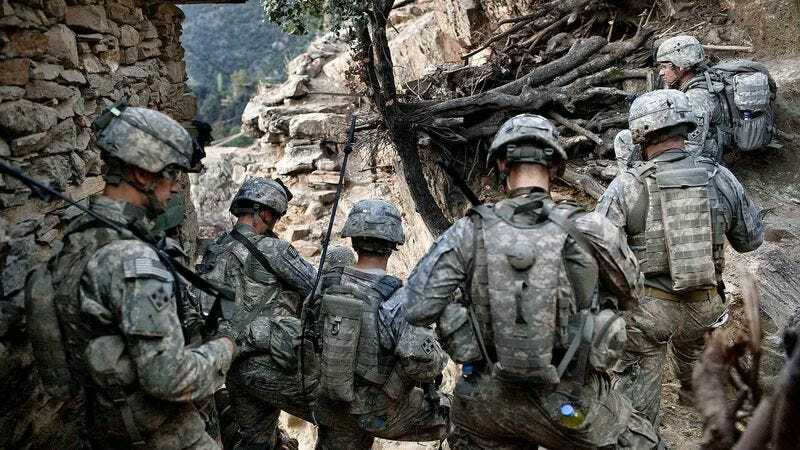 Robert Bales, the U.S. military announced Wednesday it would consider limiting troops with crippling post-traumatic stress disorder to just three combat tours. "If it's only their second or third tour, we have no problem sending soldiers with shattered psyches and profound emotional problems back into a war zone, but the case of Staff Sgt. Bales suggests four may be too many," said Gen. John R. Allen, the top U.S. commander in Afghanistan, adding that troops in their third deployment can still basically function with PTSD and, instead of snapping and killing civilians, "might still have it together enough to kill actual enemies when they go berserk." "We are beginning to think that if a soldier in his fourth tour suffers from constant night terrors or is haunted by memories of the friends he's lost in combat, he could actually become a liability on the battlefield." Gen. Allen acknowledged that while it is possible the redeployment of the mentally ill is a bad policy altogether, any such notion is mere speculation at this point.